I started this post when my husband was in the hospital. I didn’t get it finished while we were there… too many nurses walking in and out of the room? Amazing people, those nurses! I didn’t get to finish it the first month we were home. Still, I think about these things. Lately, there has been so much on my mind. So many words written. So many things not really said. So many things changed. This seems to have become my life. These last six days have been scary. These last six days have been frustrating. These last six days have been long. These last six days have been heartbreaking. These last six have been hard on our kids. These last six days have been a blessing. Now, I’m not a biblical scholar, but let me tell you what that means to me. See, Jesus was hanging with his tribe, these men he called his disciples. They were celebrating the Passover. Jesus had told two of them how to find the place where they would eat together, and the men followed his directions, found it exactly as He had said, and made the preparations. Once all the men are all sitting around the table, Jesus gives us the words most churches now quote when they gather for communion. Most churches, however, stop before that chapter does. Jesus, taking the cup, talks about his blood being poured out for them, and moves right into talking about his betrayer! This comment starts an argument between the rest of the men. Seriously, they started fighting about which one of them was the greatest. Jesus tells them he would be betrayed by one of them and they start telling him why each one is better than the other. Talk about missing the point! Once they begin to argue over which one is the greatest, Jesus talks to them about the difference between secular government and heavenly government. The people of the world want to rule over the people. When you run into a worldly person in charge, how do they treat you? Typically, they hold power, and they let you know it. Unless you can do something for them, they have little use for you. But kingdom-minded leaders should be different. For Jesus’ challenge to be met, a leader must serve. They must honor those who are under them. Why? Because that is the way Jesus lead. Sifting can and does happen in life. What that looks like is different for each of us. What needs to look the same for each of us is this, when we have been tested, have come through the sifter and learned from it, we are to help those who have not learned the same lessons yet. What would the world be like if everyone who took a step up, turned and helped the next guy make the same level up? What if everyone who grew, helped the person behind them learn the same lesson without as much pain? Maybe that’s what love really looks like. 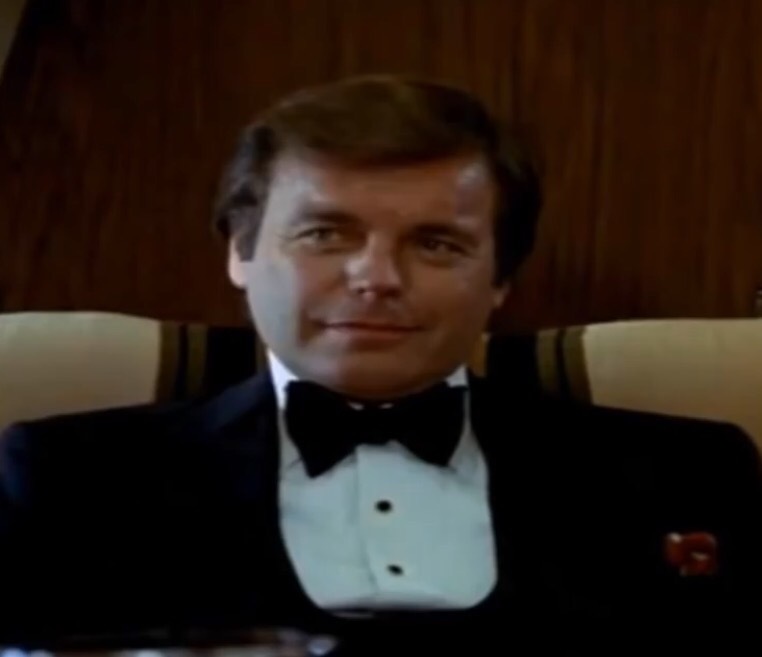 In honor of the 37 anniversary of a show I loved as a child, let me tell you a little bit about the things I learned watching a campy romance detective show, called Hart to Hart. Summer 1981. I was a young child on vacation with my folks, staying at my Grandfather and his wife’s home. He had remarried after my grandmother passed away. It was late, and I probably should have been in bed. But summer. And my parents we talking with family they didn’t get to see often. My brother and some cousins were off playing somewhere and I was flipping channels on the TV. I can still see her tv sitting there in the living room. It was bigger than the one we had at home. In my head, I can still see the airplane taking off that screen for the start of a show I had never been allowed to stay up late enough to watch. And suddenly, the most amazing sparkling blue eyes and dark hair I had ever seen graced the screen. With an impish grin and boyish charm, he was dazzling. This man was gorgeous. 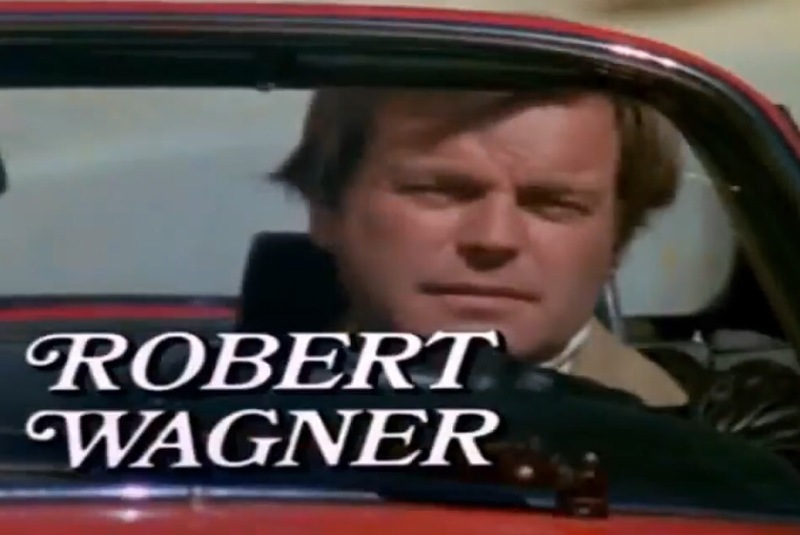 I was mesmerized by someone named Robert Wagner, as only a very tired ten year old can be. The next images on the screen were of this beautiful wavy red haired lady. Suddenly I was cursing my own stick straight dishwater blonde head. She was playful, fun and graceful. Oh to be just. like. her! 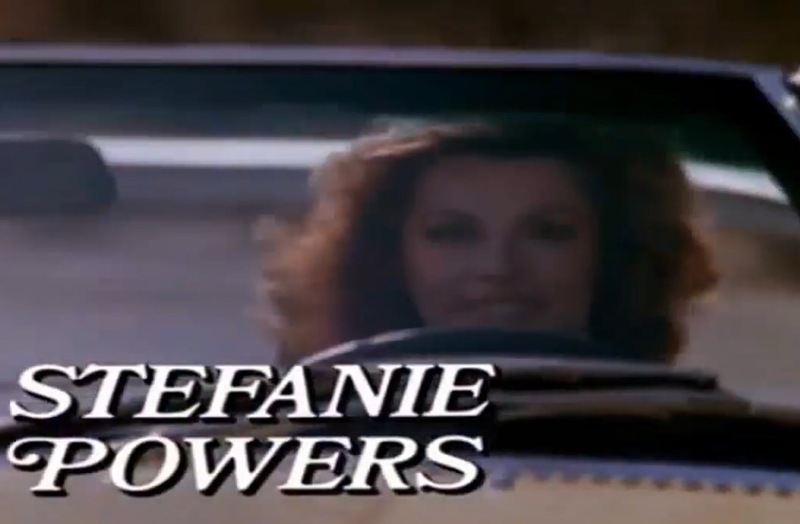 In that one setting, Stefanie Powers became my definition of what it meant to be a woman. 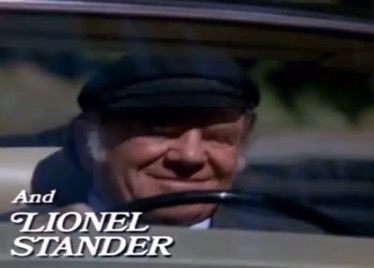 And then there is their quirky house man/butler/friend/family played by Lionel Stander. His role is hard to define. He calls it simply taking care of them. Everyone needs a Max! The images from that episode are burned into my head. It was summer, so the current season had ended, but the newest one had not started. This means reruns. For those of you blessed to grow up in the age of DVD, this meant the only way we could see a show was to wait for whatever night it was on, and if it was between seasons, we had to suffer the indignant insult of re-watching episodes. I was ok with it that summer, as they were all new to me then. This also meant I watched Downhill to Death in the summer. They were skiing in Vail, I was sweating in Indiana. Yes, I fully admit I was an odd child. My friends were all about the young teenage boys, I was enthralled with this adult couple. One of the things I learned watching this show is marriage could look much different from the ones I saw around me. This couple was in love with, looked out for, and trusted each other. They were together in almost everything they did. They fully believed each other. Somewhere in my pre-teenage mind, I set out to find a man I could trust like that, who would trust me like that. I learned a man who could make you laugh was a very good thing. To be able to have fun with the people you live with creates joy in the home. Being friends and lovers is an amazing chemistry. And while you want someone who can be serious when he had to be, fun that is not at the expense of someone else is a treasure. Then there is the fighting factor. I learned you want someone who is willing to fight for you, or for those around you, or for those who can not fight for themselves. The champion of the underdog. A hero who steps in to right the wrongs and injustices around you. When someone has a heart for the hurting, they are looking out for those who fall into cannot help themselves category. While I’m sure that given enough time, I could come up with a way more things, the last thing I’ll share is their affection. This couple was always affectionate, holding hands, walking arm in arm, kissing each other’s cheeks, head, lips. Even in pretty tense situations, he would take her hand to lead her, or she would grab his arm to follow him. I believe that affection gave them strength and comfort when they needed it. Now, before you ask, yes I am fully aware they are fictional characters. Yes, I know real life isn’t that perfect. However, I also don’t think it hurts us at all to strive for the impossible. We never know how close we can get until we try. Y’all. Yesterday was a month. The first 30 days are now behind us. Some hard moments walked through. Others, as of yet, still unknown. Since music has been such a mainstay in my life, as I have gotten up and moving each day, facing each trial or smile as they come my way, I find I am holding onto yet another song. In 2nd Corinthians, Paul discusses being weak. His conclusion to dealing with weakness is in verse 9-10, “But he said to me, “My grace is sufficient for you, for my power is made perfect in weakness.” Therefore I will boast all the more gladly about my weaknesses, so that Christ’s power may rest on me. That is why, for Christ’s sake, I delight in weaknesses, in insults, in hardships, in persecutions, in difficulties. For when I am weak, then I am strong.” Toby reminds us there is strength in the promises of Jesus. Draw on it and keep walking. So maybe my Mom never actually said those exact words. She never had to. My Mom believed I could do anything, and it was clear every time I talked to her. Play soccer… without a doubt. Go to college… absolutely. Move to Nashville on my own… go for it! Get married and raise six kids… perfect! Whatever I felt like was the next thing to do, she was right there to say, “Yes and amen.” The faith she had in me… well, I can only pray I live up to all she thought I could do. With the loss of Mom, I know my cheering section is smaller. By no means empty, but for sure she left a vast void. Yet, each time I hear this song, I find my spirits lifted, my resolve stronger, my courage reinforced. I find strength to lift my head and move. I find the ability to continue on with another moment, another breath, another smile, another day. I find strength to hold on… the Lord’s not finished yet. Did you know when you loose a key, you can probably figure out about a million different things you can learn from that one small act? It’s stunning how many times something keyed in on KS and me as we combed the beach for that little metal object. I mean, it’s crazy to find lessons each time we walked or talked. First off, let me explain a little bit about me… I don’t loose things. Like almost never. Especially when it’s something like keys, sunglasses or my phone. These things are on my person nearly at all times. And, should something crazy happen, like I can’t find something, I can step through what I’ve done and find the missing. Usually in 20 minutes. So, to not have this key was a bit stressful. As I talk to KS about this, she reminded me that things are different for me right now. The death of a parent is unlike any grief I have had to walk through before, and it will take some time to figure it all out. This key I needed was to go easy on myself. We walked and we talked. In that discussion we concluded sometimes the key you seek is not the key you really need. Even when you think it’s exactly what you need, it’s not, and you won’t understand until later why. Often, as we walked, I would find trash. Lots of trash. (I was kind of surprised and appalled at the amount of trash I found.) Bottles. Bottle caps (both plastic and metal). Broken toys. Lost toys. Wrappers of all kinds… who knew there were so many green wrappers and caps? When you are seriously searching for something, whatever you are searching for from guys to keys, you have to keep working through the trash to get to the right one. Once, as we walked I found I pen on the beach. As I picked it up I almost heard the thought run through my head, “The key is to write”. Wow… Write what? Doesn’t really matter. Just write. Let the words, like the tears, flow and you might be amazed at what you find. We walked and talked for four days. And as the last day drew closer, my stress level grew. I just knew it was going to be expensive to not have that key to turn in. However, when the time to check out came and there was no key, I sucked it up, and told the lady in charge I would only be turning one key in. Know what? It was no where near the cost I thought it was. Because sometimes, we make things out to be worse than they are. We drove away from the condo feeling like, while I didn’t get everything back as I had wanted, it was all taken care of. Not ideal, but something I could live with. KS and I had just a couple things to finish, and then we grabbed lunch before we left. As we sat, enjoying the cloudy but warm day, my phone rang. It was not a number I had saved, and yet, it looked familiar, so I answered it. Indeed, someone further up the beach found that key. It was turned in, and I owed nothing. Sometimes the only key you need is trust. Yes, I know you just sang that title in your head. I am so sorry. However, I need your complete attention. Do I have it now? Good. A new step in parenting was braved today… It’s been years in the making. There was lots of sweating, heart pounding, pulse racing… all done by Mom. If you haven’t taken such parenting steps yet, let me tell you there is no preparing for the sight. Seriously, there really is no way to prepare for the feelings that run through you as your baby drives off alone for the first time. Yes, I thought I was ready. I was one cool cucumber as he got his permit (though driving with a first time driver is unnerving). Maybe, dare I say, even excited at the promises of another driver to help with school runs, practice runs, store runs and general aspects of just getting things done. On the day of his 16th birthday, we ventured to the land of sloths, otherwise known as the dreaded DMV. Upon our arrival, we discovered a two hour wait before us, putting us right on the start of his one class he felt he really should be present for that day. Sigh. We left and figured we would be back the next week. But life… and play rehearsal/performance… and soccer practice… and homework… and… and… and suddenly we were into June without a license. It’s summer people. Enough. You wanna know what put him into gear to actually go? We found a car. An affordable car. His car. And it sat in our driveway. And he drove it with parents inside. Suddenly that license looked like a need to the boy. So back to the sloths… Early. Before they opened, we were outside their doors waiting. And waiting. And waiting. For 30 minutes beyond their listed operation time. I have no idea what emergency necessitated the delayed opening. Maybe equipment wasn’t working. Maybe a coffee run. Maybe they were slowly telling jokes and laughing while the rest of us stood impatiently outside their door. Once we were extended The Golden Scepter of the Open Door, prefinished paperwork made for short lines and a quick exit. Let there be much rejoicing in the kingdom! That is until the child, this baby moving in a near man’s body, walks out the door with keys in hand, and you stand at the door and watch. Yep, he’s actually getting into the car. Without you beside him. Yep, he’s actually starting the car. Without you beside him. Yep, he’s actually backing up. Without you beside him. Yep, he’s actually pulling out into the street… WITHOUT YOU BESIDE HIM!!! And just like that, he’s out of your line of sight. Off on his own adventures. It is a good thing, you must remind your pounding heart and queasy stomach. It is a good thing. Letting him go is a good thing. You have given him the keys he needs to do well. This is his chance to prove it to himself, and the world. He’s got this. And when he texts you pictures of another car like his in the parking lot of the mall, you will breathe a little easier. And when he pulls back into your driveway, you will breathe fully again. It is a good thing, Mom. Really. Let it go.